The water heater is the unsung hero of many a home throughout the country. It’s a system that all of us rely on daily throughout the year, yet few of us ever actually spend any time considering. All of that demand does have a cost, though, and sooner or later even the best-kept water heater will need to be replaced. When that time comes, it’s a good idea to know the signs that you need a new system. The following is not a comprehensive list of all the signs that you need a new water heater. It’s a good place to start, though. In terms of excitement, replacing your water heater may not be the first way in which you want to spend your money. It is important that you remember just how much you use your water heater, though. All year long, this appliance provides you with the hot water that you need to bathe, do the laundry, wash your dishes, and clean around the house. That means that the water heater is one of the hardest working appliances in any home. 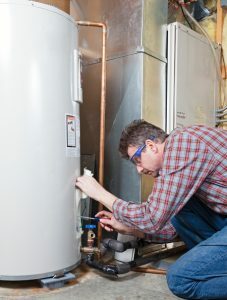 Ideally, you’ll schedule your water heater replacement before the appliance breaks down entirely. That way, you can avoid any period of extreme inconvenience.